Descending devices have reduced catch-and-release mortality rates by two thirds for some deepwater species. There’s a misguided stereotype that people who hunt and fish are looking to pillage and plunder with no regard for the environment and ecosystem, but a recent thread on the Hull Truth website seemed closer to the reality. “A few weeks ago, I was fortunate enough to catch my two biggest red snapper — one at 25 pounds and one at 28 pounds,” Akgoff4 wrote. “I released the two endangered, federal-water fish, and one did not make it despite its action at the surface at the time of release. “I have been pretty bummed about it,” the angler added. As a result, he bought a descending device designed to return deep-water fish to their original depths quickly. 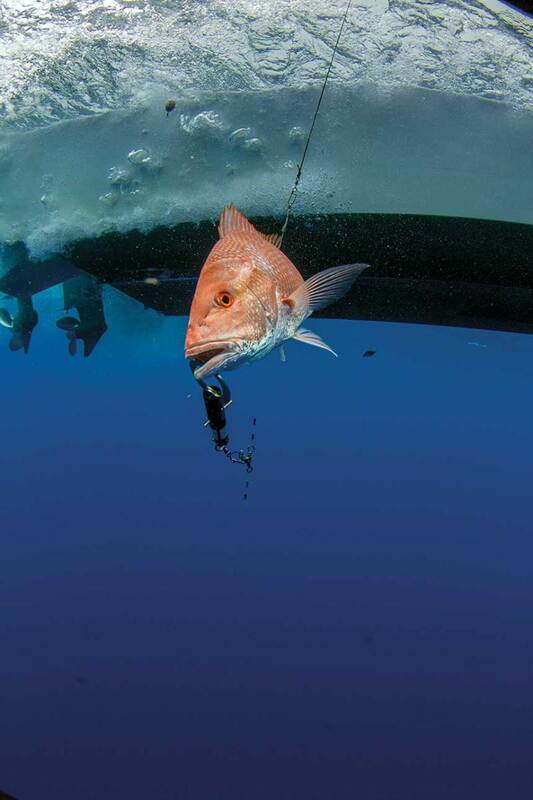 Descending devices can greatly improve the chances of survival for bottom-dwelling species such as red snapper, grouper and rockfish after they’re brought to the surface. Mortality rates for fish caught in deep water are high because barotrauma occurs when the fish experiences rapid changes in water pressure — the same phenomenon that causes human ears to pop on airplanes. In fish, the problem is often lethal if it’s not mitigated. Fisheries councils hope descending devices will replace the once common and accepted practice of “venting” — inserting a needle in the fish to “bleed out the air from the bladder” — because not everyone is equally skilled at using a sharp, hollow object, Woodward says.Descenders attach to the fish and use weights. Types of descenders include the simple Shelton fish descender and the more sophisticated SeaQualizer. The FishSmart Red Snapper and Red Drum Conservation Project, which the American Sportfishing Association started, promotes best practices for releasing fish, spreads the word about reducing mortality among released fish, and educates anglers about tools available to improve survival. The descending devices originally appeared on the West Coast when certain species of protected rockfish were suffering from barotrauma, says FishSmart coordinator Andrew Loftus. “Some were threatened or endangered, and some were sustainable. But the problem is they mix together, so sometimes anglers were catching those threatened or endangered species, and the mortality rate was high despite them being released,” Loftus says.Fish caught deeper than 180 feet had a 100 percent mortality rate when they were released, but that rate dropped to around 37 percent when anglers used descending devices, Loftus says. Some fishing enthusiasts resist using the devices, which cut precious seconds from actual angling time. “If you’re on a hot bite, who wants to be the guy who has to send the fish back? That’s going to be a tricky thing,” Woodward says. On headboats that are catching dozens at a time, logistics can make it prohibitive to use them, as well. Yamaha recently supported a FishSmart program that distributed Shelton and SeaQualizer devices to prominent anglers. The hope is that participants will respond to a survey asking how satisfied they were with each device, what could be done differently, and what impediments they came across using them.